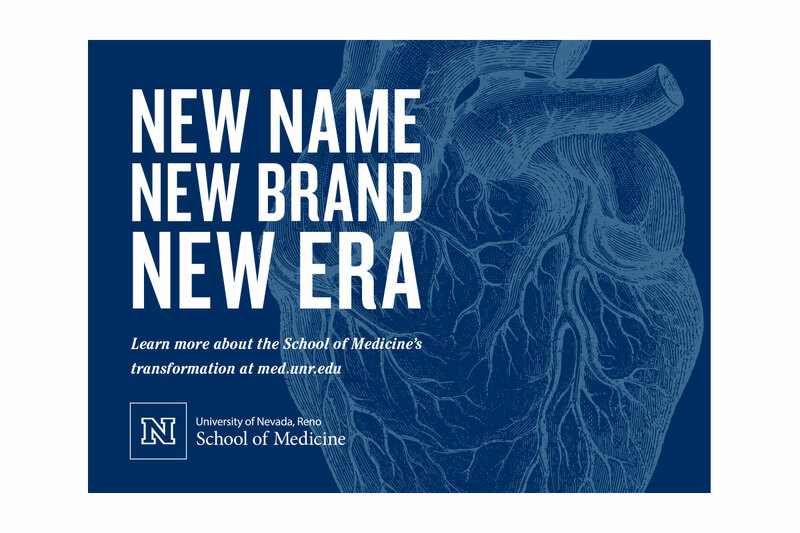 The University of Nevada School of Medicine (UNSOM) selected KPS3 to help define its brand — something that had not been done in the School’s 47-year history. 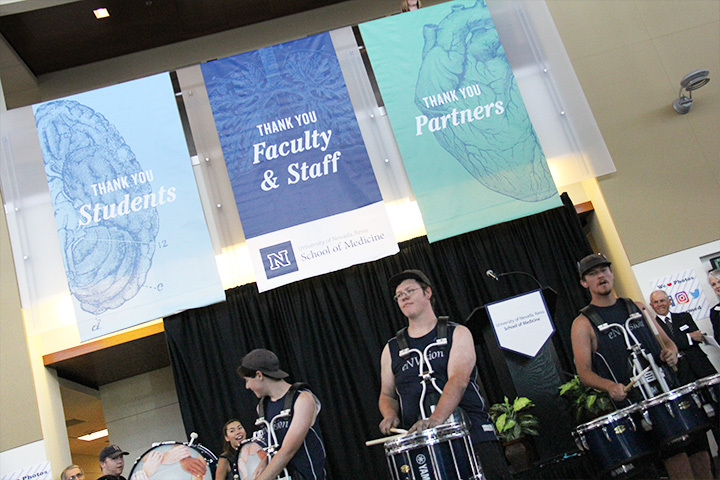 On August 8, 2016, students, alumni, community partners, faculty and staff gathered for the unveiling of a year’s worth of intense research and branding. 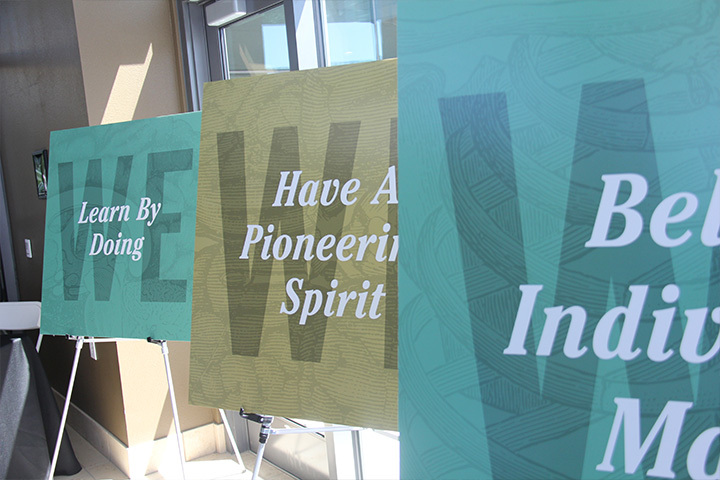 This video, premiering at the event, celebrated the history of the institution and revealed its path for the future. 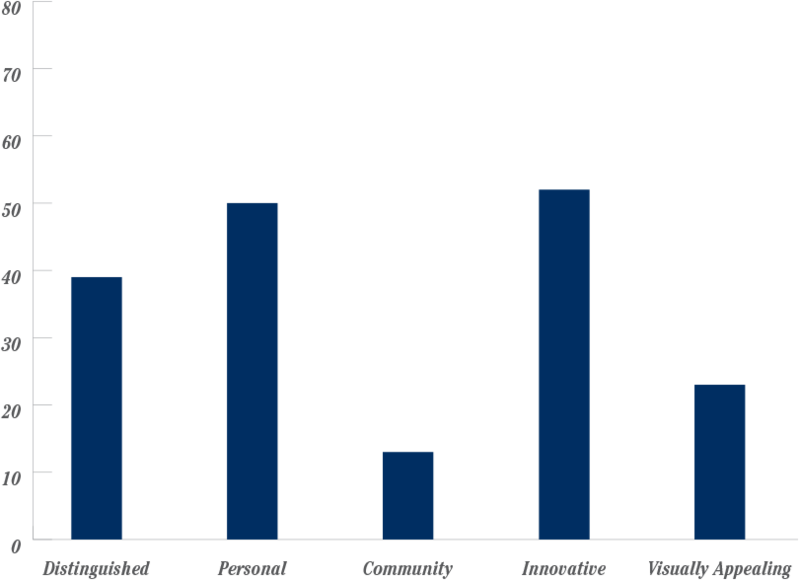 Our process began with brand awareness and assessment research among key audiences. 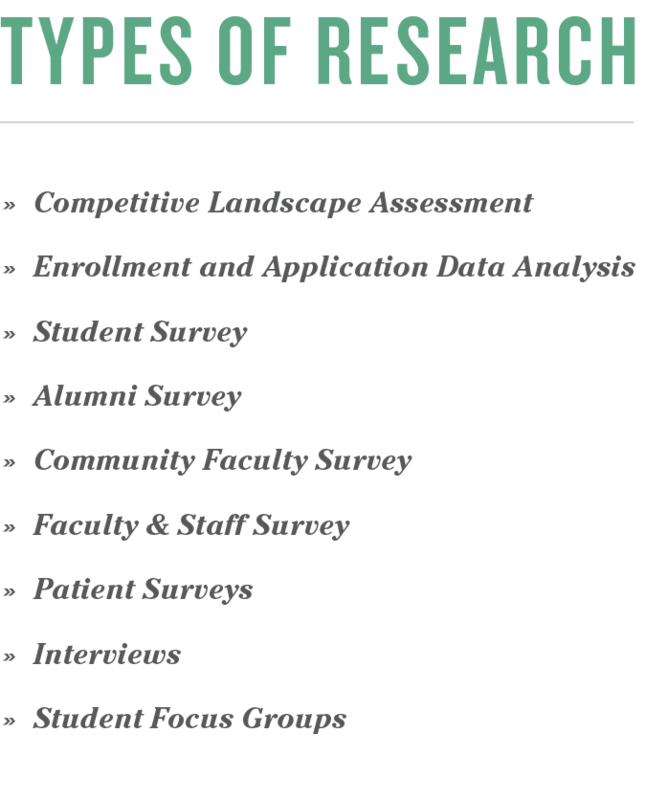 This included surveys and interviews with students, patients, community leaders, donors, alumni, and faculty. 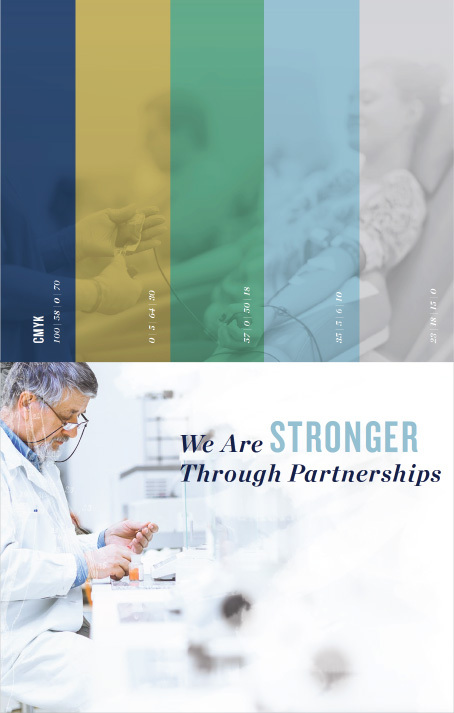 We also conducted secondary research to assess enrollment patterns and explore the competitive landscape of medical schools in the western United States. 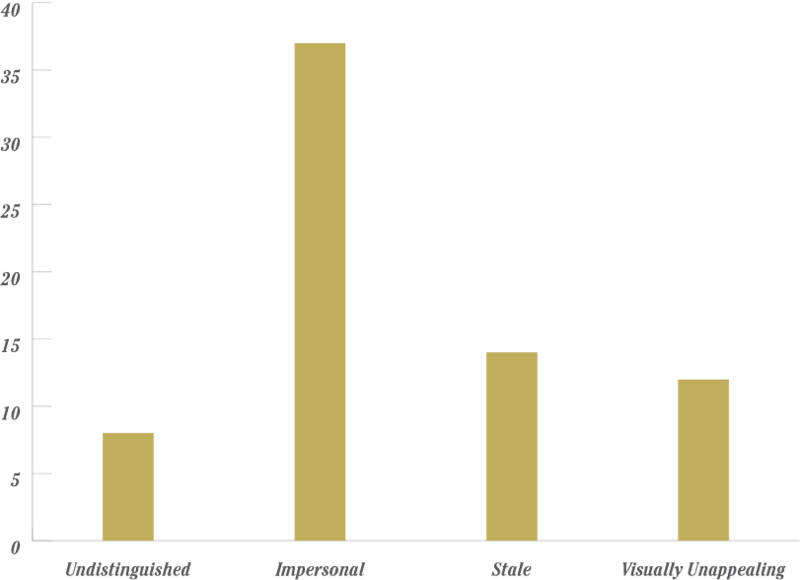 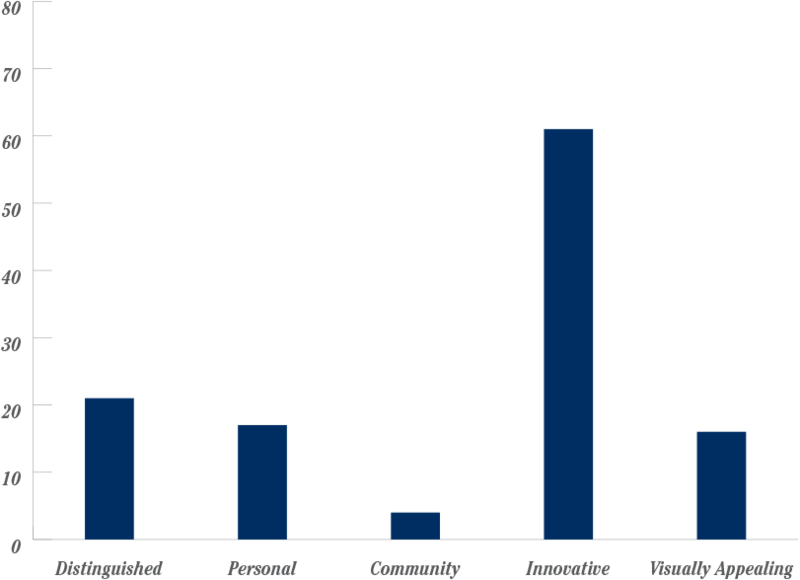 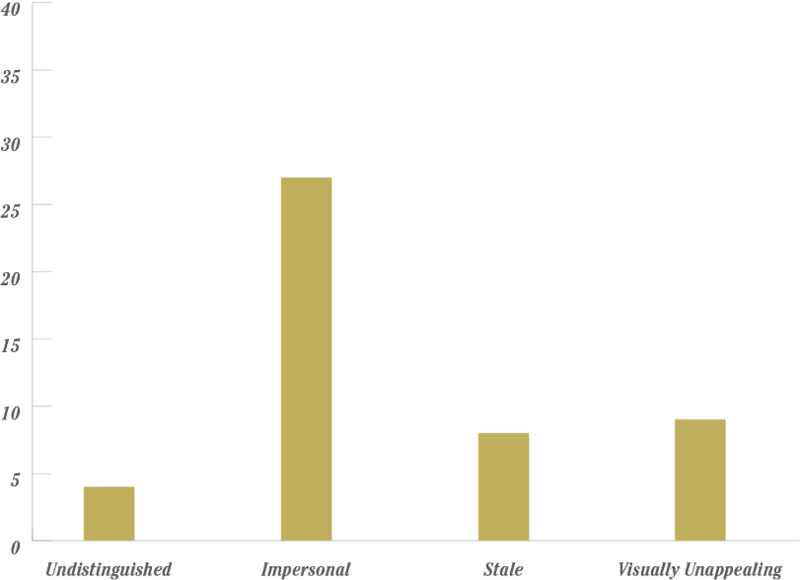 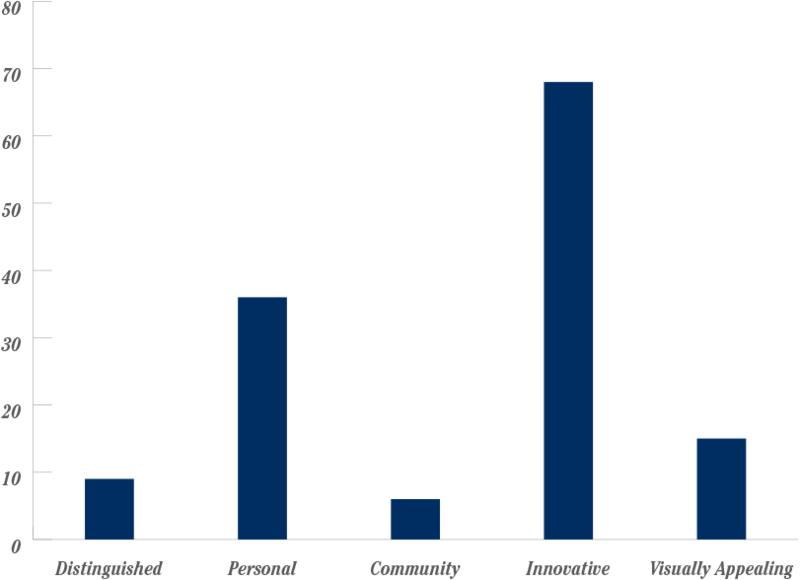 All in all, KPS3 surveyed or spoke with more than 2,000 individuals in both research phases of the project. 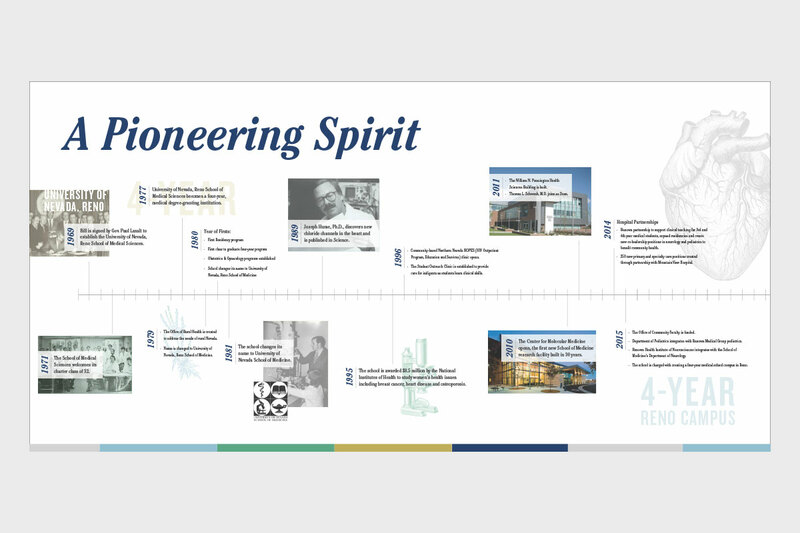 After analyzing our research it became clear that the sense of history, innovation, and community were at the heart of the School of Medicine’s brand. 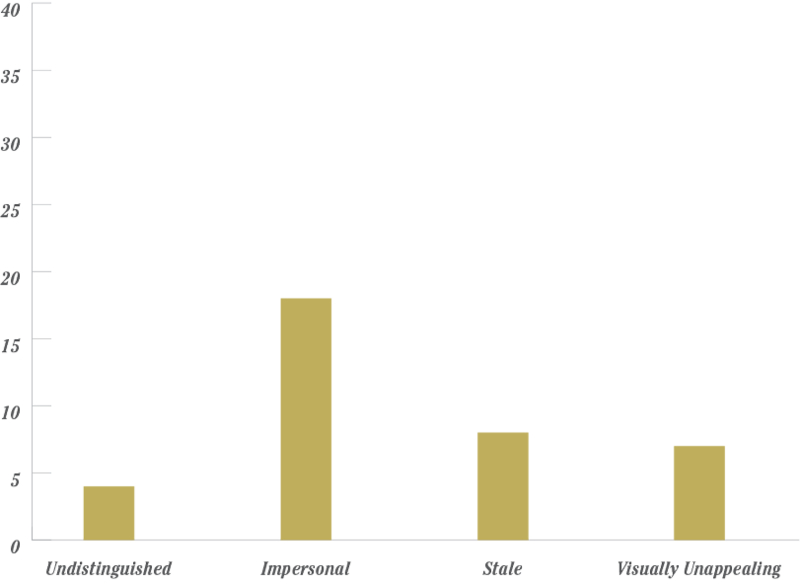 We then developed our foundational brand elements, including the positioning statement, brand pillars, brand tenets, and brand promise. 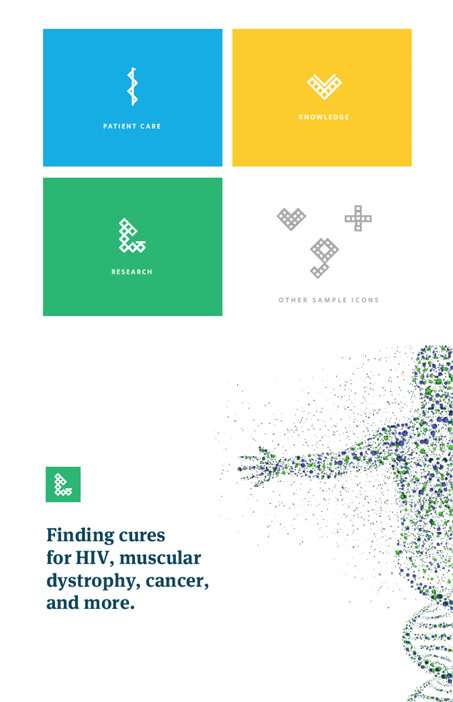 We developed several logos and brand design directions (aka brand “look and feels”) based on the research findings. 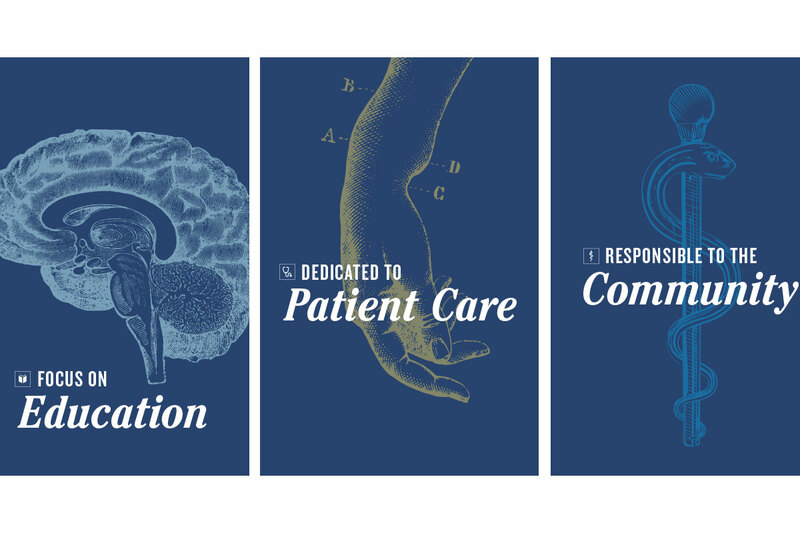 Each explored how to represent the School of Medicine, its brand pillars and what the community believed the school should stand for with varying tone and design. 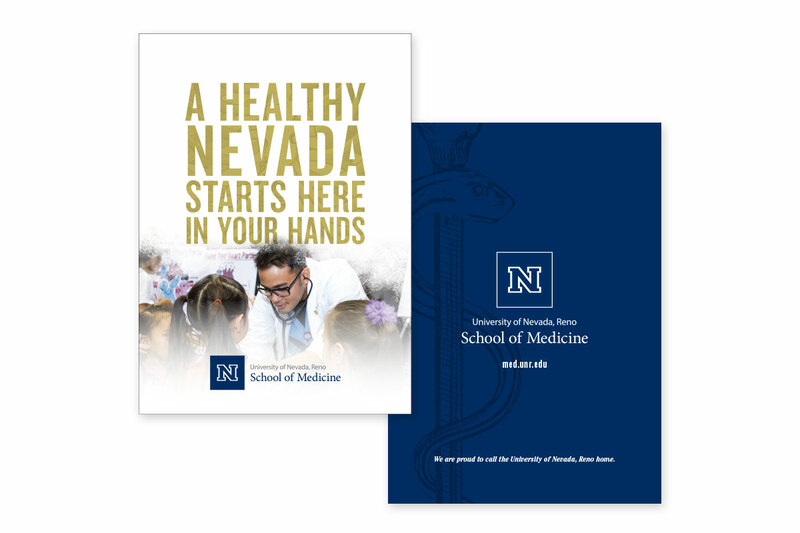 Ultimately, the School of Medicine became the University of Nevada, Reno School of Medicine. 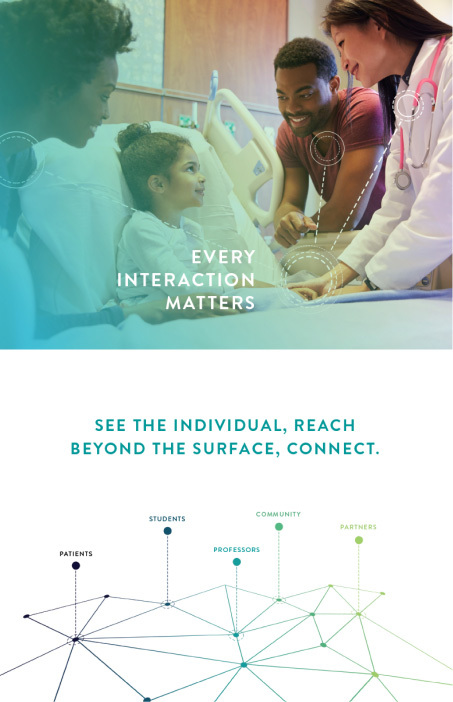 The new brand ties the medical school to its parent University but visually and verbally communicates the most salient brand attributes identified in our research: history, innovation, and community. 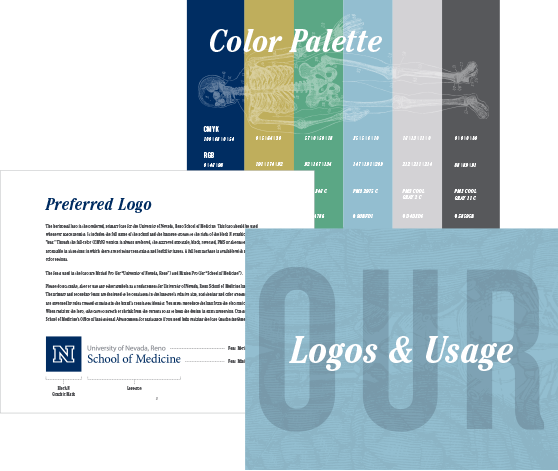 The development and execution of this new brand included the creation of dozens of brand assets and materials that the School of Medicine could use to implement their brand and expand on it in the future. 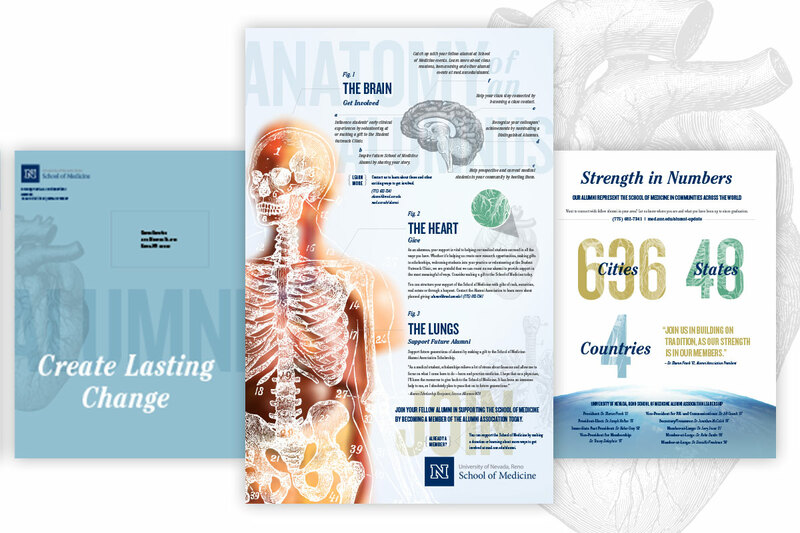 In addition to the advertising, branding, and collateral pieces, extensive design, style, and voice guides were created to define the rules of the brand. 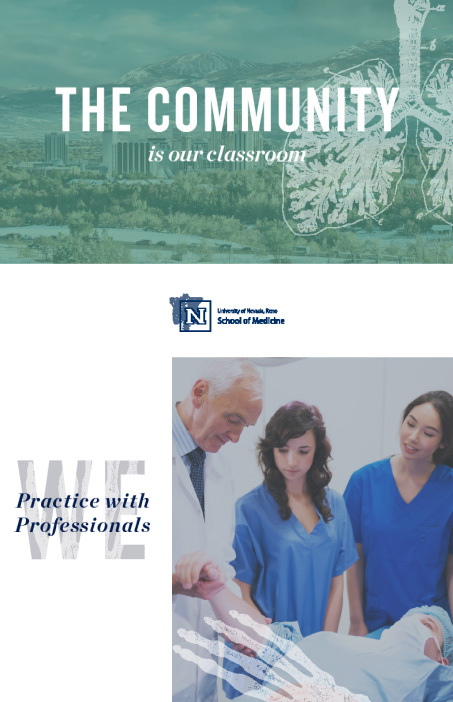 We worked with the School to build resources to help its various communications teams and departments implement, execute, and transition the new brand throughout all of its internal and external communications. 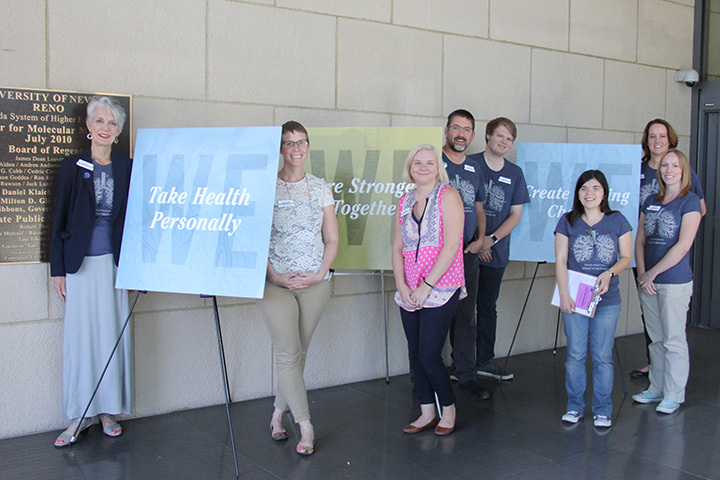 At the end of September, we hosted a Brand Usage Q&A with staff to review the new brand and answer (and record) any questions regarding how to use the new design and writing materials that had been created. 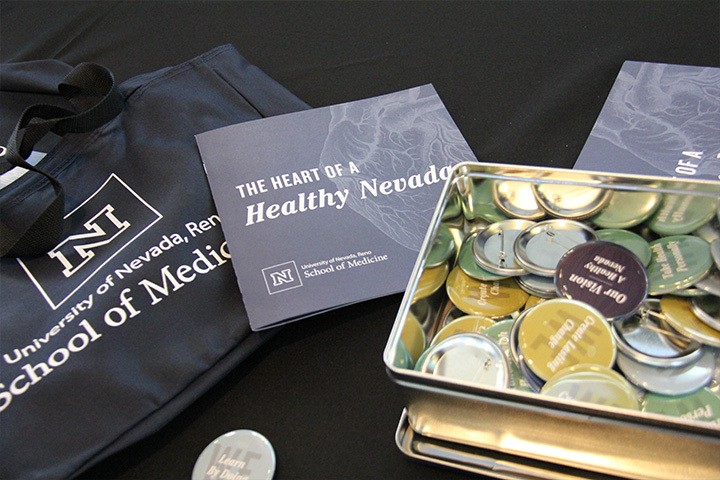 Over a year’s work of research, writing, branding, and design led up to the UNR Med brand launch event. 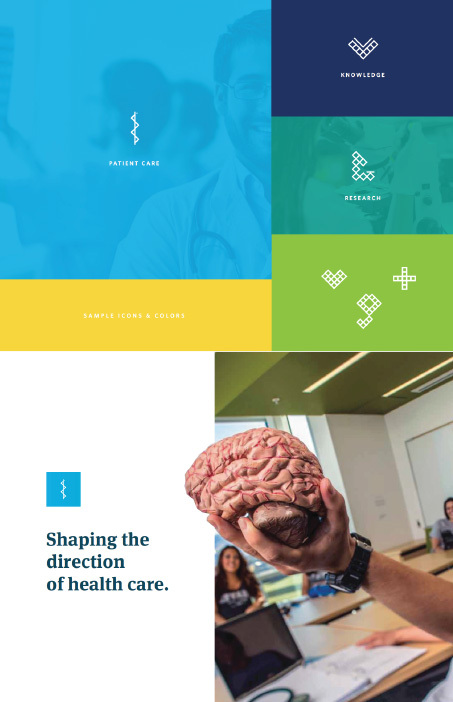 The brand reveal celebrated the Medical School’s history, welcomed its bright future, and defined its direction moving forward to partners, donors, community and government officials and all of the school’s internal audiences. 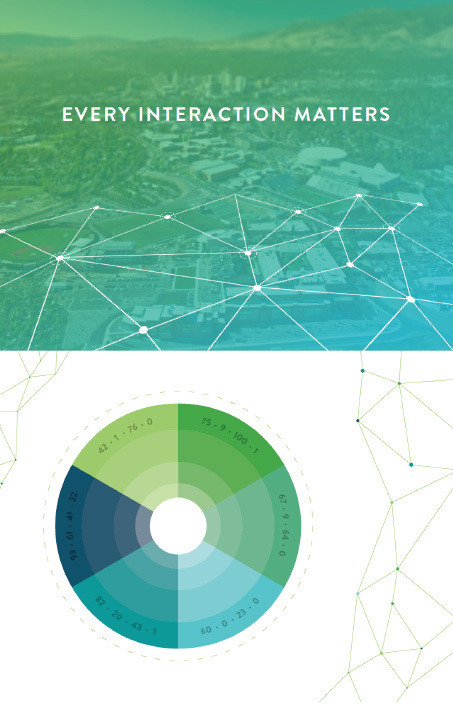 Following the event, posters, branded swag, postcards, print ads, and Synapse, School’s magazine, made their way onto campus to announce the new brand to the rest of the student body and public.